Broad-based US dollar consolidation was the main underlying theme in Asia, as the USD bulls took a breather ahead of the US jobs and prelim GDP figures. As a result, most majors remained confined within tight ranges. However, the Yen emerged a big mover, as a revival of trade tensions between the US and China combined with ongoing Italian political turmoil continued to weigh negatively on the investors’ sentiment. Meanwhile, the Antipodeans traded mixed, with the Kiwi better bid on upbeat RBNZ Financial Stability Report (FSR). The Aussie suffered on the back of a bigger-than-expected drop in the Australian building consents data while negative oil prices and Asian equities also dampened the sentiment around the higher-yielding currency. Gold prices on Comex, on the other hand, traded flat just below $ 1300 mark, with the upside capped by a solid rebound in Treasury yields across the curve. Canada's Prime Minister, Justin Trudeau, made statements today about the current state of NAFTA renegotiations, reaffirming his dedication to a fair deal. The Reserve Bank of New Zealand's (RBNZ) Financial Stability Report hit markets early on Wednesday, delivering the central bank's outlook on the New Zealand economy. Bank of Japan (BoJ) Governor Kuroda stated that the central bank must begin to investigate the possible reasons behind Japan's still-sluggish inflation and lagging wage growth. The Reserve Bank of New Zealand Governor Adrian Orr is back on the wires now, via Reuters, testifying about the Financial Stability Report (FSR) before the Parliament Select Committee, in Wellington. Mexican President Enrique Peña Nieto tweeted that “NO. Mexico will NEVER pay for a wall. Not now, not ever," responding to the US President Trump’s comments delivered at a rally. Yonhap, South Korea’s state-run news agency, reports updates on the upcoming US-North Korea June 21st Summit. Currently, the dollar index (DXY) is trading in a sideways manner above 94.85 (200-week MA), having clocked a high of 95.03 yesterday despite the drop in the treasury yields to six-week lows. British shop prices fell by 1.1 percent in year-on-year terms - the biggest drop since January 2017 compared to a 1 percent drop in April, the survey released by British Retail Consortium (BRC) showed. In response to the White House statement released on Tuesday, the Chinese state media, Xinhua, said that China hoped that the US would not act impulsively but stood ready to fight to protect its own interests. We have a relatively busy EUR calendar today, with the German retail sales release to kick-off the early European trading. The Spanish flash CPI, Swiss datasets and German employment data will be reported alongside the releases of a slew of Eurozone confidence gauges in the European session. However, the main event risk in Europe remains the German preliminary CPI report. The NA session is likely to be eventful, with a flurry of the US economic releases due on the cards, including the key ADP jobs and prelim GDP data among other minority reports. The CAD traders will look forward to the Canadian current account figures ahead of the Bank of Canada (BOC) interest rate decision for fresh momentum. Meanwhile, the US API weekly crude stockpiles data will be eyed for fresh oil-price trades. Besides, the speech by the Swiss National Bank (SNB) Chairman Jordan will be heard for any change of language on the exchange rate value. The EUR/USD pair fell to 1.1510 on Tuesday- the lowest level since July 20. Hence, a corrective rally could be in the offing and could be a sharp one if the Italian bond yields drop and the German preliminary CPI for May beat estimates. 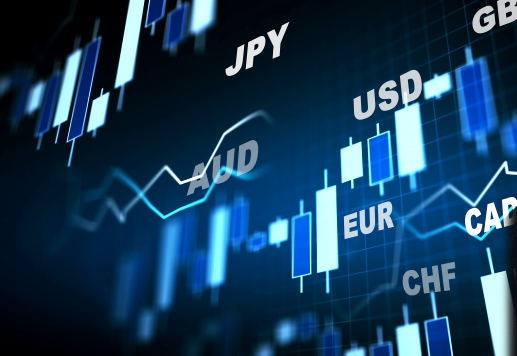 Wednesday is a fairly dry showing for the GBP/USD, and the only slated showing for the pair on the economic calendar is the GFK Consumer Confidence Index for May. Slowing economic conditions continue to hamper the Sterling.